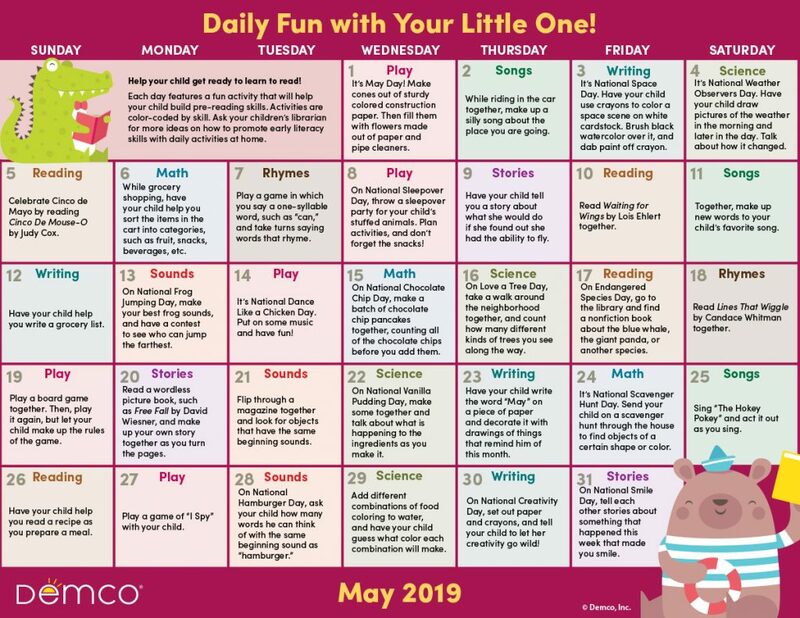 Early Literacy Activities Calendar — May 2019: Crafts, Books, and More! Early Literacy Activities Calendar — May 2019: Crafts, Books, and More! Hooray, it’s May! 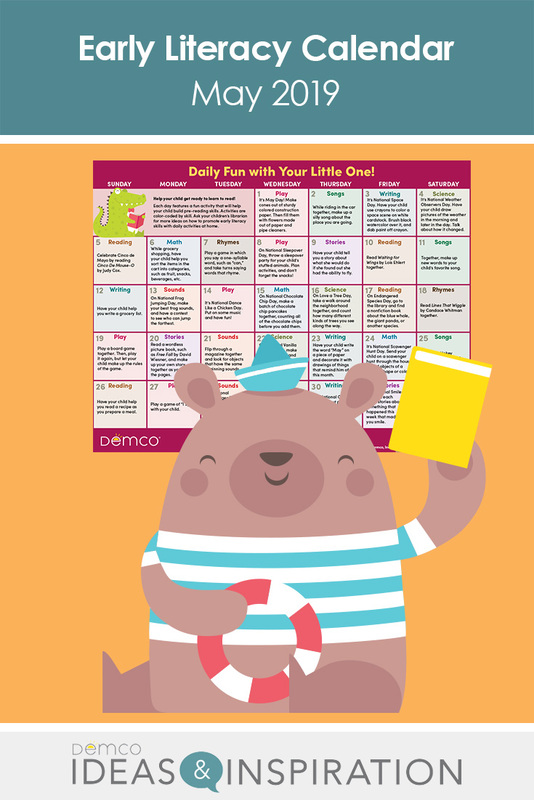 Make parents happy with a month of early literacy activities they can do at home with their little ones. The May calendar is filled with craft ideas, math and science activities, book suggestions, songs, and more to celebrate not only May Day, but unique days like National Space Day, Frog Jumping Day, and much more! Love your calendar! Do we have permission to reproduce this and make available to others? I work in a public library and this would be a wonderful resource for our parents. Absolutely! Our early literacy calendar is intended to be a handout you can leave out in your children’s area, give to parents during storytime, or hand out with your 1,000 Books program — please use freely and spread the word!